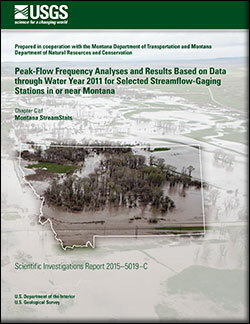 Over, Thomas M.; Saito, Riki J.; Veilleux, Andrea G.; Sharpe, Jennifer B.; Soong, David T.; Ishii, Audrey L.
Over, T.M., Saito, R.J., Veilleux, A.G., Sharpe, J.B., Soong, D.T., and Ishii, A.L., 2017, Estimation of peak discharge quantiles for selected annual exceedance probabilities in northeastern Illinois (ver. 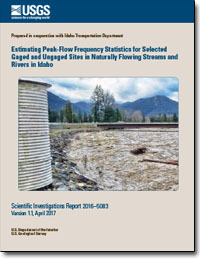 2.0, November 2017): U.S. Geological Survey Scientific Investigations Report 2016–5050, 50 p. with appendix, https://doi.org/10.3133/sir20165050. 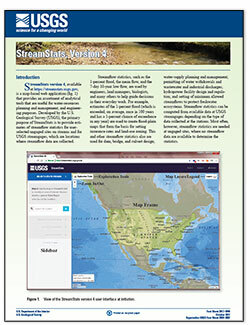 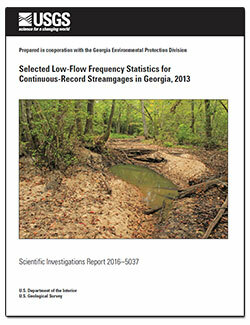 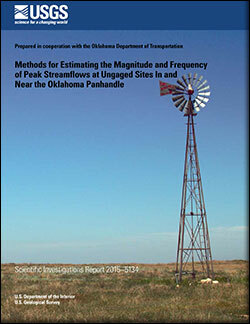 Gotvald, A.J., 2016, Selected low-flow frequency statistics for continuous-record streamgages in Georgia, 2013: U.S. Geological Survey Scientific Investigations Report 2016–5037, 20 p., http://dx.doi.org/10.3133/sir20165037. 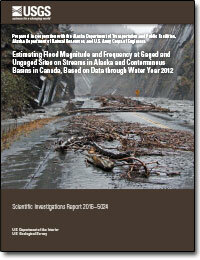 Curran, Janet H.; Barth, Nancy A.; Veilleux, Andrea G.; Ourso, Robert T.
Curran, J.H., Barth, N.A., Veilleux, A.G., and Ourso, R.T., 2016, Estimating flood magnitude and frequency at gaged and ungaged sites on streams in Alaska and conterminous basins in Canada, based on data through water year 2012: U.S. Geological Survey Scientific Investigations Report 2016–5024, 47 p., http://dx.doi.org/10.3133/sir20165024. 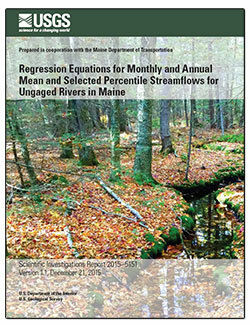 Dudley, R.W., 2015, Regression equations for monthly and annual mean and selected percentile streamflows for ungaged rivers in Maine (ver. 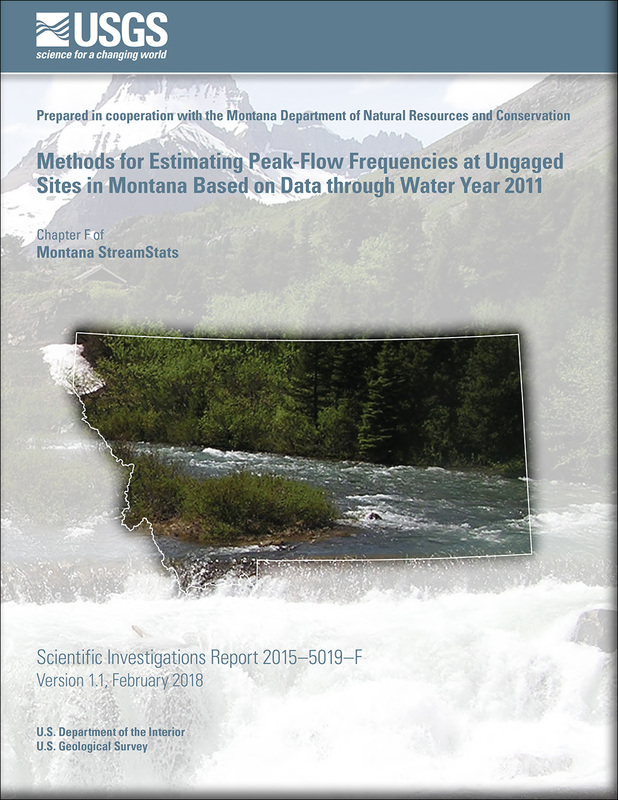 1.1, December 21, 2015): U.S. Geological Survey Scientific Investigations Report 2015–5151, 35 p., http://dx.doi.org/10.3133/sir20155151. 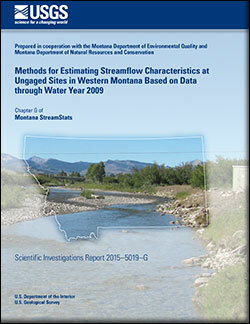 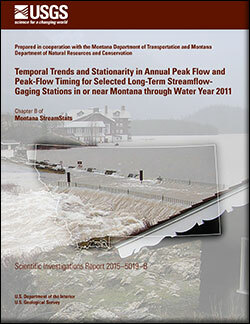 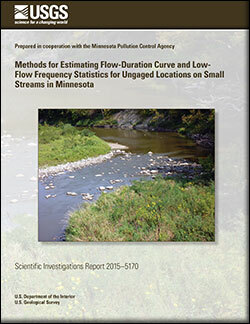 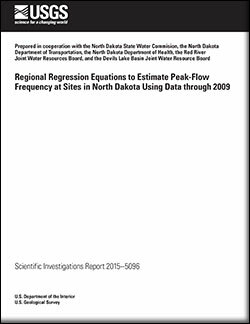 Williams-Sether, Tara, 2015, Regional regression equations to estimate peak-flow frequency at sites in North Dakota using data through 2009: U.S. Geological Survey Scientific Investigations Report 2015–5096, 12 p., http://dx.doi.org/10.3133/sir20155096.